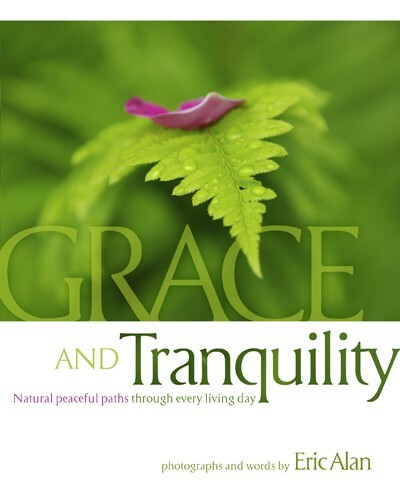 Grace and Tranquility: Natural Peaceful Paths through Every Living Day maps a shared journey down natural paths of ease and calm found in stillness and the world’s persistent beauty. Through exquisite nature photography and meditative wisdom, Grace and Tranquility guides readers into a daily practice of peace, even in the midst of conflict and uncertainty. Alan approaches relationships with the Earth, people in our lives, and even politics and money with equal candor and clarity. The photography uniquely enriches the words, expanding the readers’ understanding of the text. Additionally, A CD of the same title by Gypsy Soul is available, incorporating Eric Alan’s lyrics into a powerfully flowing musical interpretation of the Grace & Tranquility theme. Buy it HERE. Gypsy Soul has been listed as a “TOP PICK / CRITIC’S CHOICE” in 40 publications LA Times, SF Chronicle, LA Almanac, OC Register, OC Weekly, Pacific Sun. Park Record, Desert Post Weekly, Performing Songwriter, Monterey County Herald, Coast Weekly, Jefferson Monthly, Where Magazine, Medford Tribune, San Francisco Herald, Standard Examiner, SLC Weekly, The Deseret, Bass Player, Ashland Daily Tidings & others. Cilette Swann’s voice is haunting, and Roman Morykit’s musicianship is superb. Their music stirs the soul and moves the spirit.